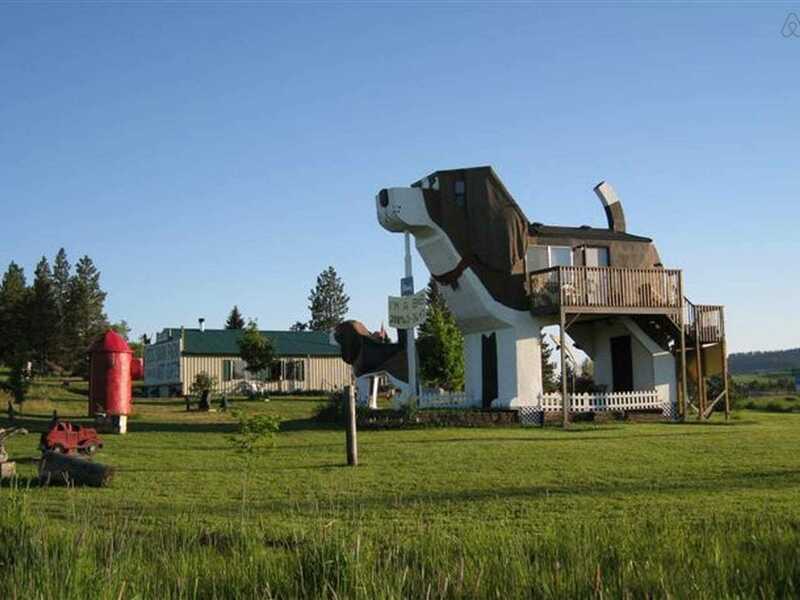 his listing in rural Cottonwood, Idaho is certainly unique. 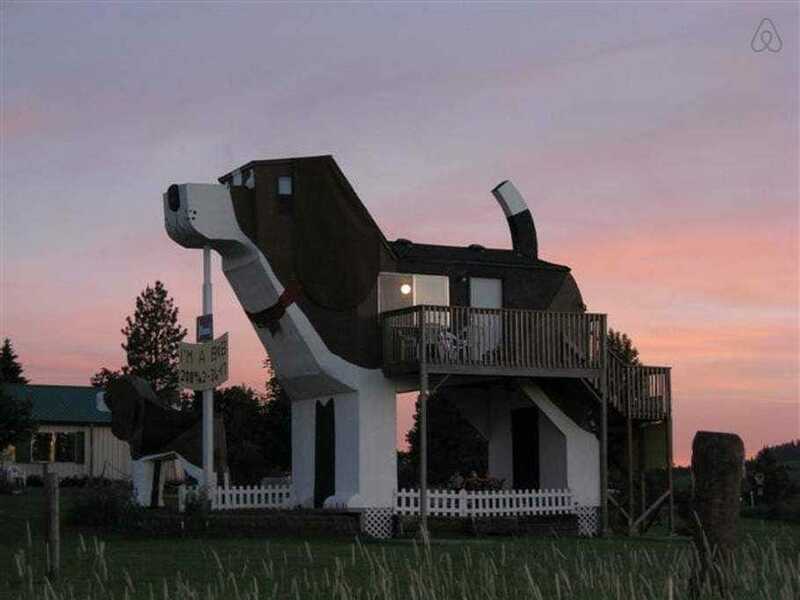 The structure was built by two artists who got their big break selling wooden dog carvings on QVC. 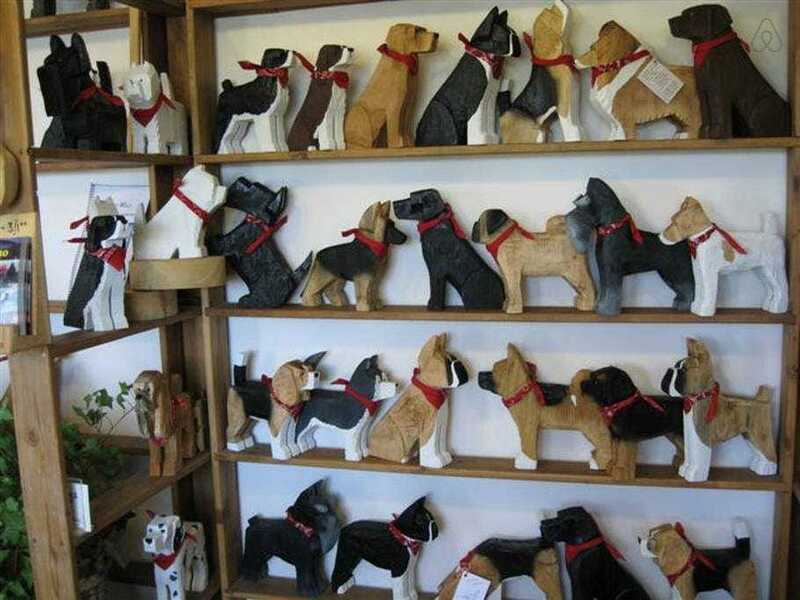 They used the money they made to build the Dog Bark Park, where they continue to make dog carvings. 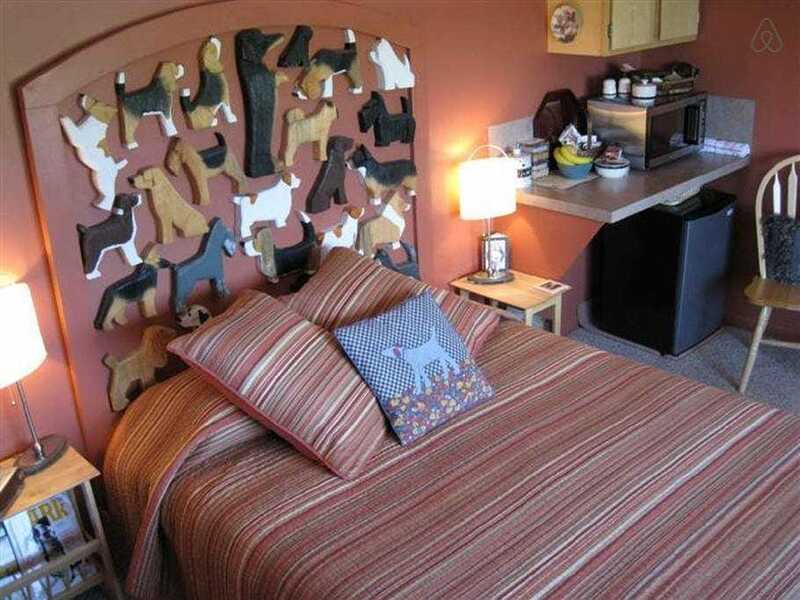 The inn sleeps four and includes a continental breakfast and free parking. One night’s lodging costs $US98 — a small price to pay for a stay in the belly of a giant beagle. Dogs are welcome. Once you go inside, you’ll see dog memorabilia everywhere. 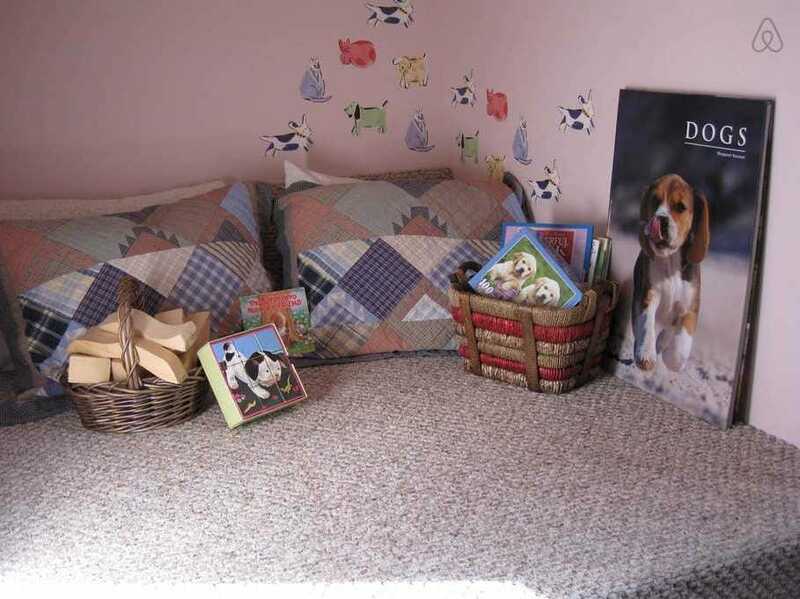 You can catch up on some reading in this cozy nook. There’s even a giant red fire hydrant in the front yard. Don’t forget to stop by the gift shop on the way out.